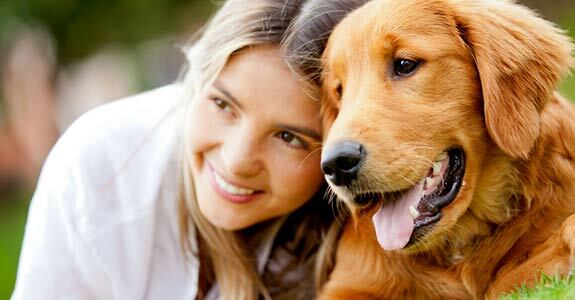 When you’re going out of town, trust Happy Dog Kennels to take care of your pet. At our facility, you will find clean, climate-controlled kennels equipped with both heat and air conditioning to keep your pet comfortable. Our technicians are vigilant about caring for your pet and will take time with each dog, cat, bird or even fish that comes through our door to make sure they are healthy and happy. Ask us about our weekly and monthly rates. 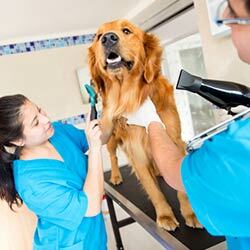 Come home to a clean pet with our quality cat and dog grooming in Sioux Falls, SD. We offer bathing, grooming and trimming to keep your animal looking his very best. With great rates and gentle handling, our grooming service is just one more way we set ourselves apart from our competitors. Rest assured your pet won’t be cooped up during the days or even weeks that you’re away. At Happy Dog Kennels, our property boasts a park-like atmosphere with plenty of acres on which your dog can roam and play, enjoying the grass and trees. A strong chain link fence secures our property and exercise time is carefully monitored to ensure the enjoyment and security of your pet. Visit our dog kennel in Sioux Falls, SD, where we raise beautiful Havanese puppies. This rare toy breed makes an excellent candidate for obedience and agility training. Bred by AKC champions, these dogs will make a wonderful addition to your home. Come to our dog kennel in Sioux Falls, SD where we now raise French Bulldog puppies! This playful and energetic breed is also called Frenchies, and make great companions and family pets. Call us for additional information about availability and lineage. For a safe and comfortable boarding facility for your pet, call Happy Dog Kennels at 605-332-0595.